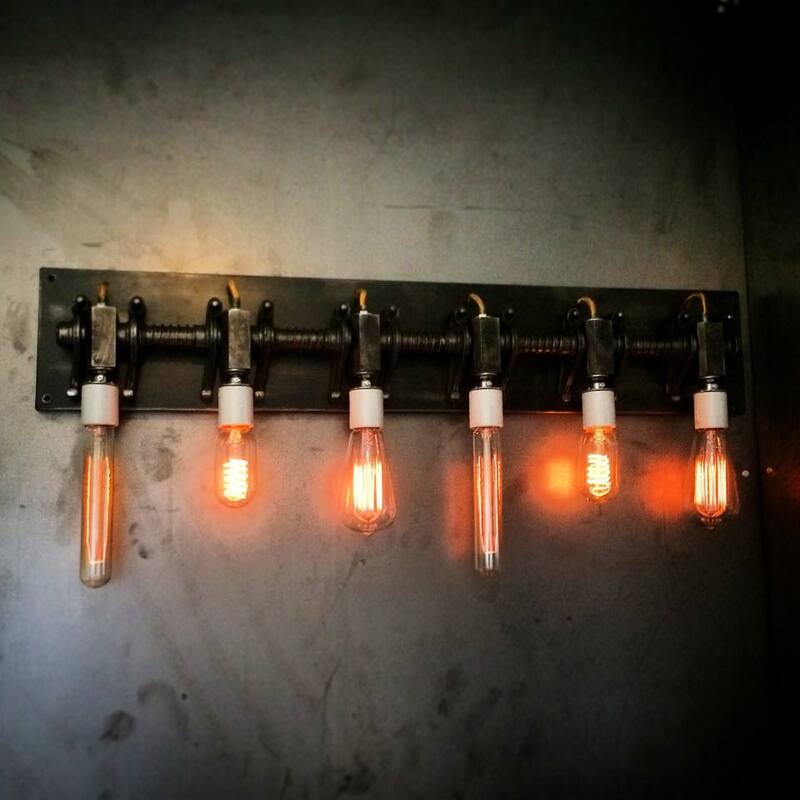 This light fixture features Edison bulbs in different shapes and sizes. It’s made from a diesel engine’s rockers we salvaged. It has porcelain sockets and a steel backplate. This light has a fun and industrial look and is great for all the gear-heads out there who know what it actually came from.